Carnival Paradise was launched in 1998 as the first “smoke free” cruise ship. 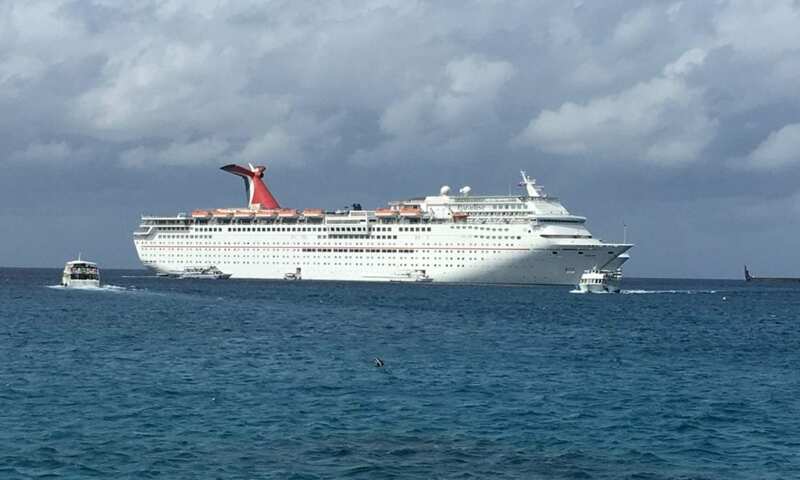 While that didn’t last too long, she still lives up to Carnival’s “Choose Fun” tagline, offering fabulous four, five, and seven-night cruises from Tampa, Florida (her home port of call). Completely refurbished with Carnival’s signature Fun Ship 2.0 renovations, she is now more spectacular than ever. So, now that you have booked your cruise on Carnival Paradise, we have some cruise tips and hacks to make the most of your time at sea. First Access to your Stateroom: FTTF guests can access their stateroom immediately upon boarding (instead of waiting until after general availability, which is usually around 1 p.m. or 2 p.m.). Additionally, your luggage is given priority and delivered before other staterooms. Guest Services: You will be given a dedicated phone extension to call Guest Services instead of having to wait in the always long lines. Dining Reservations: After Platinum guests are cleared, you may make reservations ahead of other passengers for the restaurants. Water Shuttle (Tender) Priority: You will be given the first choice of water shuttle times so you can make the most of your time during port days. Grand Cayman is a tender port and is included on most Carnival Paradise sailings, so this is a big one. Most Grand Cayman shore excursions meet on the pier, so you have to make sure you’re off the ship in time. Debarkation Choices: You have the option to choose late or early disembarkation times for leaving the ship at the homeport. The Pour Your Own Beer station. A little known secret of Carnival Paradise is the ability to self-serve your beer at certain kiosks. Located in the Paris Lido Restaurant, these fun and easy-to-use machines allow you to pour your own drink and be charged by the ounce! Not only does this allow you to choose the amount of beer that you want to buy, but more importantly, it does not charge the automatic 18% gratuity that is added to drinks purchased from bars or the servers who walk around deck. All you have to do is insert your sail and sign card. Does this sound like a “cheap move”? Maybe, but heck, you gotta save where you can! Hidden way up on deck 14, the Grand Deck, is a mini-golf course. When Carnival Paradise received it’s Carnival 2.0 renovations, this part of the ship received a complete makeover with new turf, course design, and obstacles. This area is really fun and you can get a friendly family competition going on up there. A selection of club sizes is available so that anyone can enjoy a round. Try to go earlier or later in the day as with the height that the Grand Deck enjoys, it can get sunny and breezy up there. Replacing an underutilized aft pool, another part of the Carnival 2.0 renovation is Waterworks. Mainly reserved for kids, with a large splash pad and multiple kid-sized water slides, there is also seating for adults to watch the fun. There is also one large twisty slide that really gets moving. That one can be used by adults too, so if you are feeling like you need a little adrenaline rush, and don’t mind getting wet, try it! Carnival does not promote having lifeguards on duty but they do have pool attendants watching over the pool while it is open. However, you should still watch over your children when they’re at the water park. If you want to wake up to a delicious coffee drink, or maybe need an afternoon pick me up, anything from espresso to frappuccino’s can be found at the Isle de France Coffee Bar: located on the Promenade Deck (deck nine), starboard side and aft (back right of boat when facing the front of the ship). Of course, regular and decaf standard drip coffee is available 24/7 in the Paris Lido restaurant, but the coffee bar offers a much wider variety — along with decidedly higher quality. If you ask, they even have a loyalty card for a free beverage after the purchase of five. The coffee shop is also a place you can buy bottled water if the bars are too crowded. Every cruise on the Carnival Paradise includes the popular “Hasbro, the Game Show” live! Taking place in the Normandy Lounge (main theater), this isn’t a show to miss! Basically, it takes popular Hasbro games and makes them supersized, including Connect 4 (basketball), Yahtzee (bowling), and Simon Flash. Players are teamed up from the audience and then play live. It really is fun for the entire family. Typically, specialty restaurants aboard cruise ships range in the $$$ category of pricing. Carnival Paradise, however, offers a really fun and unique option for sea days, and it’s only $5 per person! Typically, on the second sea day of a trip, the Seuss at Sea Green Eggs & Ham breakfast takes place. There are two seatings in the morning and a special Seuss themed menu is in place which includes “Moose Juice,” “Gravity Defying Pancake Stacks,” and of course, “Green Eggs & Ham,” among other options. Not only is the menu fun, but characters from the books make appearances for photos and signing of autographs. It really is a lot of fun for anybody, but families especially seem to enjoy it. BlueIguana Cantina on Carnival Liberty. For many cruisers, the breakfast buffet is a highlight of the morning, for others, they tire of the choices (but honestly, I’m not sure how — there are so many!). Aside from eating in the main dining room, there is also the Blue Iguana Cantina. Many people have no idea that a delicious Tex-Mex style spread is available with breakfast tacos, arepas, and huevos rancheros. So, if you are looking for something a little different than eggs and bacon, hit up the Blue Iguana. If you want to go all out, start your morning with room service. Then hit up the BlueIguana Cantina and do the sea day brunch in the main dining room. You’ve dropped the kids off at Camp Ocean — now what? Head on back to the rear of the ship, the aft on the Promenade Deck (deck nine). Tucked away here is the Serenity Adult Only Retreat. Loungers have nice cushions, two whirlpools entice, and dedicated staff serve drinks. The “no kids allowed” is strictly enforced so adults can relax in peace. Plus, being located aft allows for unending sea views all the way to the horizon — really, does it get much better? Another good place to escape the kids is by checking out one of the late-night comedy shows held in the aft theater. The late shows are adults only. If you do go to the comedy show, make sure you arrive at least 20 minutes before the show starts. The room fills up very fast and you’ll want a good seat in the Punchliner Comedy Club. Carnival Paradise docked in Grand Cayman in 2017. Carnival Paradise may have just closed in on 20 years of service, but after her Carnival Cruise Line Fun Ship 2.0 renovation in 2018, she shines brightly. When sailing her, really take the tagline to heart- Choose Fun! Play in the Hasbro the Game Show, relax in Serenity, fill up at the BlueIguana, quench your thirst with a bargain pour your own beer, and be a kid at heart with Seuss at Sea. If you dedicate yourself to “Choose Fun,” it will be impossible not to have an amazing time on Carnival Paradise (or any Carnival ship).